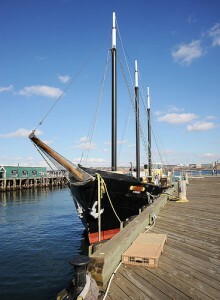 Walk along the Halifax Waterfront. Walking is one of the best ways to get around Halifax’s compact downtown core. It’s pleasant to stroll the city streets from early June right through to October, as long as the sun is shining, and many of the main attractions are within a 15 minute walk of each other. You can easily make your own way between sights like Citadel Hill, Spring Garden Road and the Historic Properties along the waterfront. Even better if you’re short on time or need an initial orientation is the Harbour Hopper Tour, an amphibious vehicle that will not only speed you past all of Halifax’s main buildings but also take you out for a cruise on the water. And of course no visit to the city would be complete without a ride on the ferry. It’s a bargain at just $2.00 for a ticket and lots of fun for the whole family. Driving around Halifax is possible but while it’s not as harrowing as in bigger cities, finding a parking spot can be a hassle so it’s not recommended. Renting a car is only really a good idea if you plan to go outside the city for a few days of sightseeing.